We live in a mobile society, and conservatees are no exception. For example, an elder may have multiple residences, living in an out-of-state vacation home part of the year or moving among family members in various states. Or the child of a conserved parent may move to a new state, taking the parent along. And when there’s conflict, a parent may be taken from California to another state to be conserved beyond the reach of other relatives. In these situations, jurisdictional problems can leave families and attorneys uncertain of where and how to proceed. Luckily, a new law aims to resolve these issues. The California Conservatorship Jurisdiction Act (CCJA) (Prob C §§1980-2033), operative January 1, 2016, is based on the Uniform Adult Guardianship and Protective Proceedings Act (UAGPPA), which has been adopted in over 40 states. The CCJA focuses on three areas to deal with the jurisdiction issues that come up when conservatees are on the move. 1. Determining jurisdiction for establishing conservatorships. At the core of the CCJA is the detailed distinction between a “home state,” a “significant-connection state,” and an “appropriate-forum state.” The priority among these three determines jurisdiction. The home state, i.e., where the proposed conservatee was physically present for at least 6 consecutive months (with temporary absences permitted) immediately before the petition is filed, has primary jurisdiction over a conservatorship petition. Next in priority is a significant-connection state, which is based on factors including the location of family members, length of physical presence, and location of property. A significant-connection state can assert jurisdiction if there’s no home state, if the home state finds the significant-connection state to be more appropriate, or under other circumstances as detailed in the Act. If the home state and all significant-connection states decline jurisdiction, jurisdiction may lie in an appropriate-forum state. 2. Transferring existing conservatorships. In the past, if a conservatee moved to a new state there had to be a new conservatorship proceeding, which took up time and expense. The UAGPPA sets out a streamlined process for transferring conservatorships between states, which is adopted by the CCJA with modifications to retain California’s stronger protections for conservatees. 3. Registration and recognition of sister-state conservatorships. The CCJA registration process allows California to recognize another jurisdiction’s orders without transfer of the conservatorship. For example, it allows a conservator appointed in another state to consent to California medical treatment of a non-resident conservatee. Extensive notice requirements apply. Judicial Council forms, GC-360 through GC-362 have been adopted, and the GC-310 Petition for Appointment of a Probate Conservator has been revised. Keep in mind that the CCJA doesn’t apply to anyone involuntarily committed to a mental health facility, including Lanterman-Petris-Short conservatees, or to those with developmental disabilities. 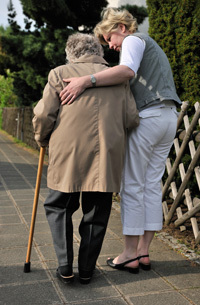 And anyone with dementia is given special protections under the CCJA’s transfer and registration provisions. For discussion of procedures under the CCJA, turn to CEB’s California Conservatorship Practice §§3.9A-3.9P. 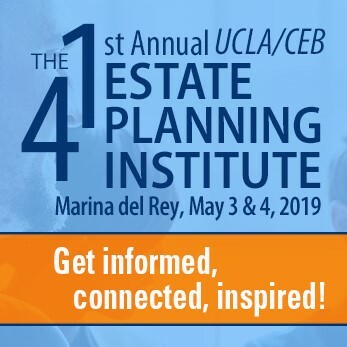 Analysis of the CCJA can be found in Stern, The California Conservatorship Jurisdiction Act in the April 2015 issue of CEB’s Estate Planning & California Probate Reporter, available by subscription or as part of the Estate Planning OnLAW library. And check out CEB’s program California Conservatorship Jurisdiction Act: An Overview of the New Rules, available On Demand.